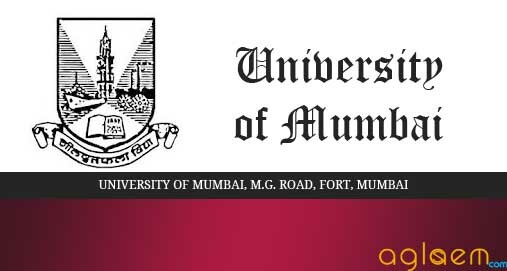 MUCMET 2019 – The University of Mumbai will offer admission to the Integrated BMS-MBA course for the academic year 2019-20 at the University of Mumbai, Thane Sub Campus. 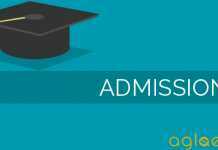 The admission shall be based on All India Merit Rank of Mumbai University Common Management Entrance test (MUCMET). Candidates can read the complete details regarding admission to the Integrated BMS-MBA course through MUCMET 2019 such as application form, eligibility criteria, entrance test fee etc. on this page. Candidates can check eligibility criteria and read the instruction carefully which is given below on this page. Only those candidates who fulfill eligibility criteria will be able to fill the Application form. Entrance Exam will be conducted in the month of May 2019. 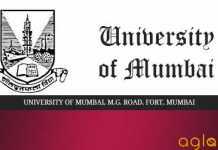 Schedule for MUCMET 2019 – Mumbai University Common Management Entrance Test is given here. The admission shall be based only on All India Merit Rank of Mumbai University Common Management Entrance Test (MUCMET) for Integrated Management Programme. Higher Secondary School Certificate / Intermediate (10+2) or its equivalent certificate from a recognized Board. Minimum 45% aggregate (40% aggregate in case of Reserved category) from Science, Commerce, Arts or any other stream/discipline. Once the Application process will be over, University of Mumbai will start uploading admit cards. Candidates will be able to download their admit card from the official website or the link that will be provided here later. Candidates must carry they’re admit cards to the examination centre. Without carrying it, no candidate will be allowed inside the exam centre. The Test follows a Multiple Choice – Objective Questions format. Verbal Ability and Reading Comprehension: This section tests your English language skills through Reading Comprehension or Passages with questions based on their content, Grammar, Vocabulary, Sentence completion, Synonyms, Antonyms, Choice of appropriate words, phrases, expressions, etc. Quantitative Aptitude: This section checks how accurately and quickly you can perform Numerical calculations, solve Arithmetic problems involving Averages, Ratio, and Proportion, Percentage, Quantitative Reasoning, Interpretation of numerical tables, graphs, charts, etc. Logical / Abstract Reasoning: This section measures how quickly and accurately you can think logically and work on Data Interpretation and questions based on figures, graphs, diagrams, etc. General Awareness: This section assesses your understanding of Current Affairs, Business, Industry, General Knowledge, etc. You are advised to bring with you on the day of Entrance Test, the Hall Ticket with your recent Passport-size photographs (duly signed) affixed thereon. Indicate your Seat No. on your Test Booklet and Seat No. etc. on the Answer Sheet, as soon you get them from the Supervisor. It is a Multiple Choice – Objective Questions format, with each question having Four (4) answer options, i.e., A, B, C, and D. Select the most appropriate answer and mark it on the Answer Sheet provided to you. Use Black or Blue ball point pen only to mark answers by darkening / filling one circle amongst the four options provided for each question. Use the Blank Page in the Test Booklet to do rough work. No rough work is allowed on the Answer Sheet. For each correct answer →+1 mark and for each incorrect answer → -0.25 marks. Any extra pencil or pen marking, incompletely or incorrectly filled circles, multiple (more than one) answers, scratching, over-writing, tick-marking etc. is not allowed. Submit the Test Booklet along with the Answer Sheet after completing the examination. If you fail to submit the same, your Answer Sheet shall not be assessed. Use of calculators, mobile phones or any electronic gadgets is not allowed in the Examination Hall. Anyone found using the same is liable to be disqualified. Candidates resorting to any unfair or malpractices shall be liable for disciplinary action taken by the Competent Authority. As soon as Mumbai University will declare the result after completion of the common management entrance test we will update you here. You can check the results on the official website also. Insofar, Official details for MUCMET 2019 has not been announced yet. Information on this page is based on last year information brochure and for reference purpose only. As soon as Mumbai University will release the information it will be updated here.